The Town of Taber has announced the signing of a Utility Services Agreement to operate Lantic Inc.’s Wastewater Treatment Plant, effective June 1. 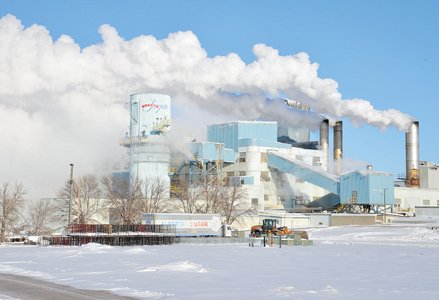 Lantic Inc. approached the town in 2017 about the possibility of a public-private partnership where the company would pay the Town of Taber to provide skilled workers to operate the wastewater services to the Rogers Sugar Factory. After consideration by both parties, the partnership was found to be mutually beneficial, and the subsequent agreement was formed. At their May 14 regular meeting, council passed a resolution authorizing Mayor Andrew Prokop and CAO Cory Armfelt to sign the agreement. The scope of the agreement details that town utility operators will oversee basic management, operation, and maintenance of Lantic’s Wastewater Plant. The town and Lantic will also work together to review priorities for the company’s wastewater capital works projects to make sure they are completed in a prioritized and timely manner. Besides providing an essential service to one of Taber’s largest employers, the town also considered the proposal to be an excellent way of demonstrating innovation with its Water and Wastewater Services. This agreement is also part of the town’s commitment to increase economic development and sustainability for community businesses. Although it was stated this additional service to Lantic Inc. will come at no extra cost to taxpayers, the town’s media release included no financial details of the contract that was reached with Lantic Inc.